All these 230 Volt 50 Hz units are special order items and are NOT RETURNABLE. They can be modified in the software to be 240 volt 60 hz. Programming requires a Mk3USB interface sold separately. 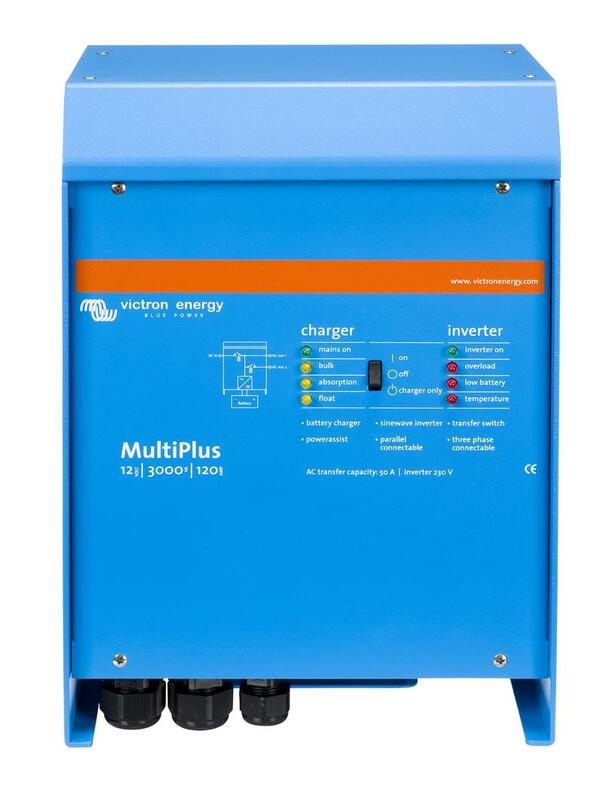 Multiplus inverter chargers have a single AC input and the Quattro has dual AC inputs, typically one input is shore power and one is generator. There are models in 12, 24 and 48 volts DC and the range extends up to 15 kVA pure sinewave output. These units are highly programmable. See my Blog Posts for information on installation, set up and programming. The 230 volts units can be used in connection with an Autotransformer to produce a 120/240 volt split phase system. See my Blog Post on how to use the Autotransformer for this application. The range of models available in 230 volt is greater than the 120 volt models but stocks in the US are more limited so you might like to check in with us before ordering.